What a great way to use this little guy. Such an adorable card. Just love your raccoon card! He's too cute. Thanks for sharing! This little cutie just melts my heart! Wonderful card! So cute and beautifully done! A perfect Valentine or thinking of you card. Thanks for the inspiration. Wow, beautiful coloring on your sweet card. Beautiful shading of this cutie Raccoon!! Love the embossed panel too!! The sweetest valentine card ever!! the dies critter dies in this release are amazing. Such a cute critter. Great card. this is so cute for valentine's day with heart. so adorable. What a great Valentine's card. Wonderful use of the cute raccoon die. What a cutie. Love it. Gorgeous and fun! Great work! Super cute, Donna, the perfect Valentine card! 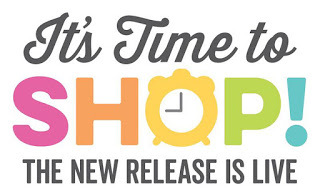 Awesome release and new goodies! This is so stinkin' cute! I love the inking you did; it really brings the raccoon to life. Thanks for sharing this adorable card with us! The Raccoon Cutie looks very smitten with the object of his affection. Very nicely done, Donna! That raccoon is so cute!! What an adorable Valentine card! Sweet card Donna. That little racoon is so darn cute. What a cute raccoon Valentine! 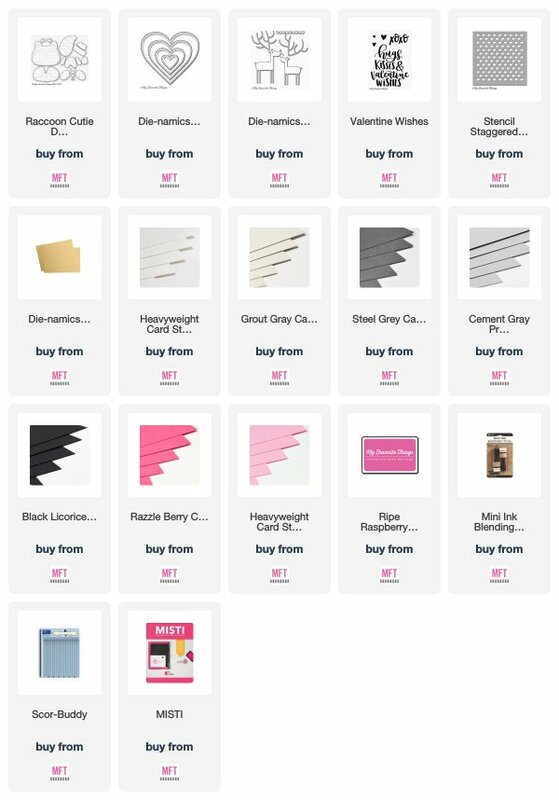 Your card is a perfect Valentine card!!! Everyone loves a cute raccoon with a heart! What a sweet card! Love the raccoon! Adorable card! Love this sweet raccoon! 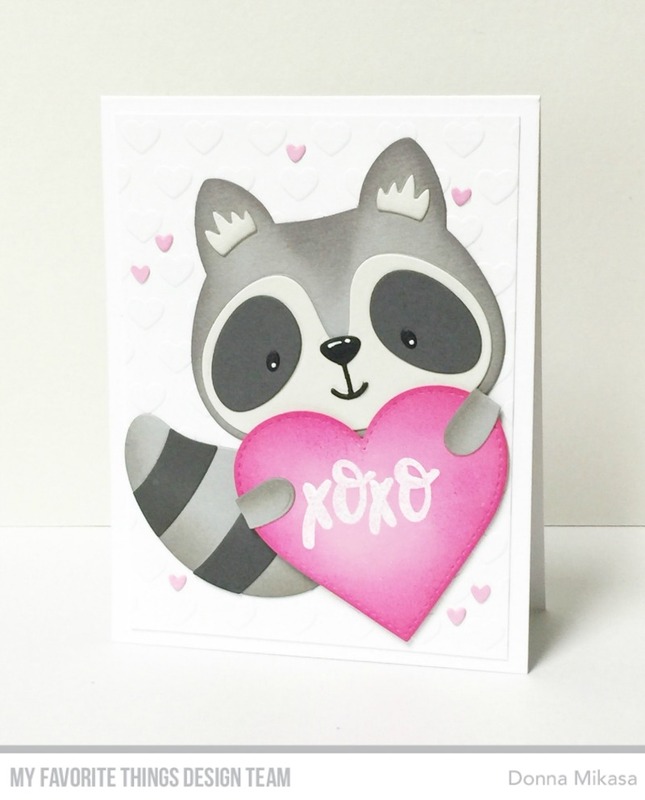 Hope you're not tired of hearing how adorable your card is because your raccoon with a big heart SO adorable! So sweet, the raccoon is irresistible! 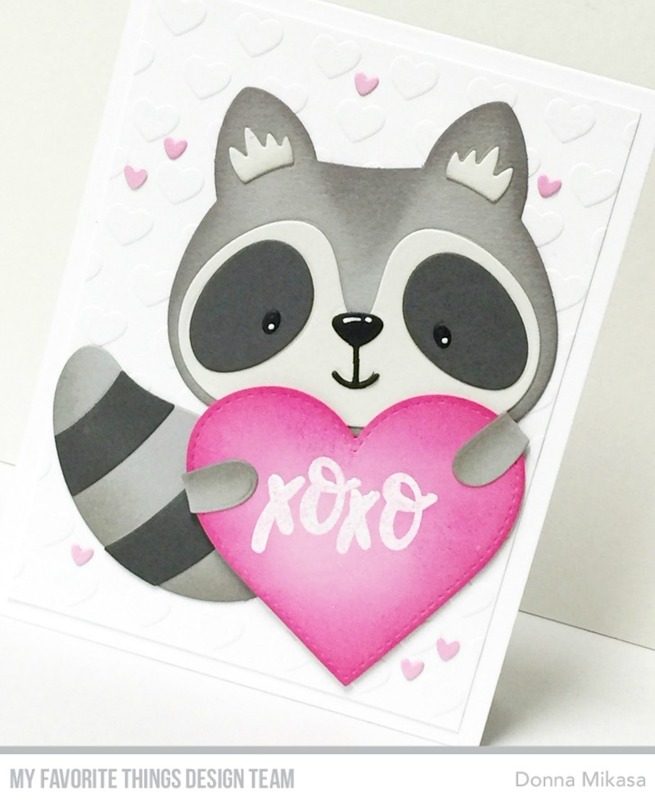 I love this sweet little raccoon, and he's perfect for Valentine's Day! Adorable Valentine's card! I don't think this card could be any sweeter. The raccoon is so cute holding the big heart and the background is just perfect for this. What a darling Valentine!! Love this sweet looking raccoon! Awesome design Donna, love that you added dimension with the shading. Thanks for the inspiration! The big raccoon with a heat is the perfect Valentine! What a cutie! Love that he's hanging on to that heart!! Oh my goodness, how adorable is this?! Cuteness overload! I have to confess, I agree. This raccoon is such a cutie pie. You card is adorable to the max! I can feel your love for the Raccoon Cutie from the card, Donna! He's so adorable!! The card has a wonderful dimensional interest with the ink-distressed shadows and the dry embossed panel. Adorable! Love the little xoxo heart he is holding. Such a sweet Valentine's card! I love the hearts in the background! So sweet, I love your shading, it adds a lot of depth and prettiness. This has to be the cutest raccoon ever! This is adorable. I like all the hearts. Perfectly adorable and sweet card! What an adorable raccoon! Okay, I now MUST get this die-namic. Your card is beautiful! Love that you embossed the background with a stencil but kept it white. Very subtle, but absolutely perfect and gave your Raccoon an amazing base. Overall, one of my favorite Valentines Day cards that I’ve seen this year. Thank you for sharing. So cute! I love your little raccoon and the background you created! This is adorable and very cute!